When Canada decided to legalize recreational cannabis, it sparked a movement for the rest of the world, with more countries eagerly moving toward legalizing medical and recreational cannabis. However, there are still some conservative countries that are making it difficult for this process to take place. The World Health Organization was supposed to make recommendations to the UN’s Commission on Narcotic Drugs (CND) about marijuana following a pre-review that took place earlier in the year. 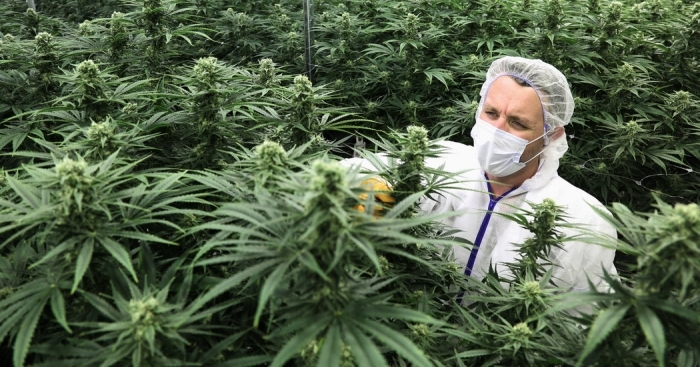 But a representative said on Friday at a meeting in Vienna that more time is necessary to decide whether or not cannabis should be removed from international drug treaties. It seems that countries including China and Russia are pushing hard against legalization according to Juan Fernadez from the London-based International Drug Policy Consortium. “Ever since Canada enacted its legal regulation of cannabis, there has been a lot of pushback from traditionally reactionary countries at CND – Russia, China, Pakistan, Egypt, Singapore – against any move to confer any legitimacy on cannabis,” said Fernandez. There are three UN drug treaties, including one that is 57-years-old, that Canada has signed vowing to ban cannabis and other drugs. When the Liberals decided they were going to go ahead with recreational legalization, there was concern about how they could withdraw from the treaties and in the end the government chose to legalize cannabis while remaining within the treaties. Currently, Canada and Uruguay are the only two countries that have legalized recreational cannabis and with more countries wanting to do the same, such as Mexico, the treaties currently in place make it nearly impossible for these countries to trade cannabis products internationally. Fernandez also said that it’s likely that cannabis will be rescheduled but will not likely be dropped from the treaties completely. He said that it’s more likely that it may just be moved to a list of drugs that are considered less dangerous by international standards. It’s expected that the recommendations will be presented to the UN in January and the CND is supposed to vote on marijuana’s rescheduling in March.